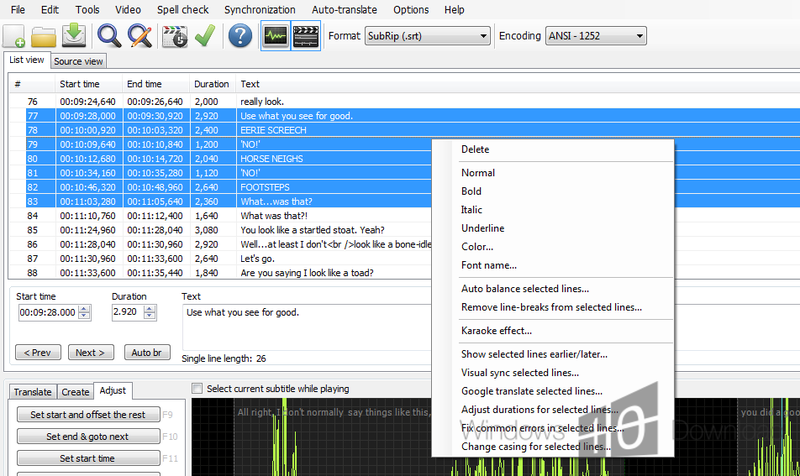 Subtitle Edit is a free utility for editing movie subtitles. It allows synchronization with the video, time display adjustment, renumbering. Subtitles can be merged or split on a specific interval of time. SE can convert between different types of subtitle formats like SubRib, MicroDVD, Substation Alpha, SAMI. 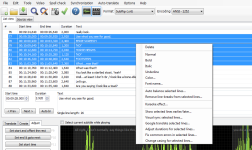 Common errors can be fixed with a wizard-like feature.